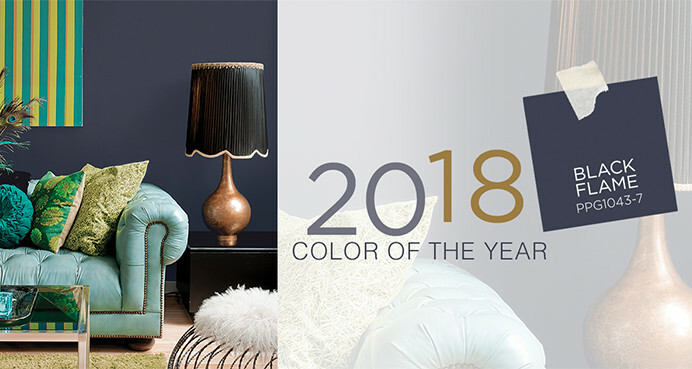 Color of the year for 2018 is Black Flame, a Pittsburg Paint color. I like Dark colors and especially dark purple so I really like this color with its indigo undertone. It would be a great accent color for many homes and would work in any room where you might be looking for an elegant, sophisticated feel. The colors red, green and yellow would be great accents to this so when picking rugs, pillows or wall hangings, these would be colors to consider. A room with Painted white wood trim would look fantastic with Black Flame on the walls!